The youngest son of Marxist revolutionary Che Guevara has announced plans to run motorcycle tours in Cuba -- a well-timed capitalist venture in light of a planned normalizing of relations between the United States and Cuba. Che Guevara played a key role in the Cuban Revolution, serving as Fidel Castro's second in command when fighting to overthrow the government of Fulgencio Batista in the late 1950s. Motorcyclists will probably know that many of his personal philosophies were formed as a result of experiences he gained as a young man over a series of motorcycle road trips through South America. Covering roughly 8,000 miles and multiple countries, those experiences are recorded in his book The Motorcycle Diaries. The book has been a best seller several times and was adapted into a film in 2004. Che Guevara was killed leading a failed Bolivian uprising in 1967. 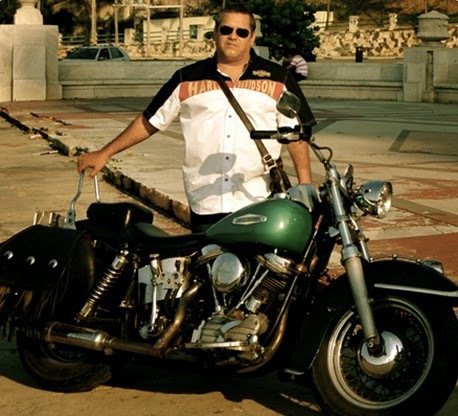 Now, almost 50 years later, his youngest son has set up La Poderosa Tours, a name that references the nickname Che Guevara had given his 1939 Norton motorcycle. The Cuban tours are led on Harley-Davidson motorcycles and take in certain sights related to the revolutionary's life and work. Perhaps contrary to that work, tour prices start at $3,700 and include stays in 5-star hotels. Prices do not include flights. One wonders what Che would have thought.